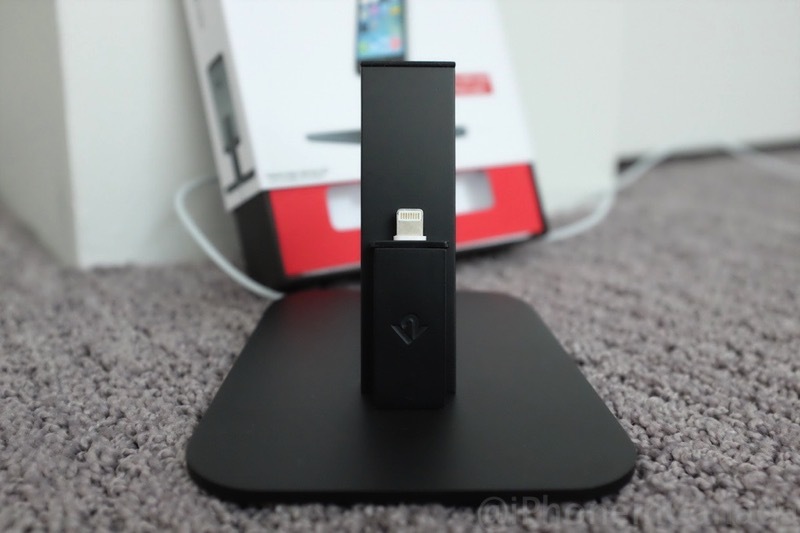 Apple this year did not offer an iPhone 6 or iPhone 6 Plus dock accessory, leaving many users searching for a worthy one to put on their bedside table. 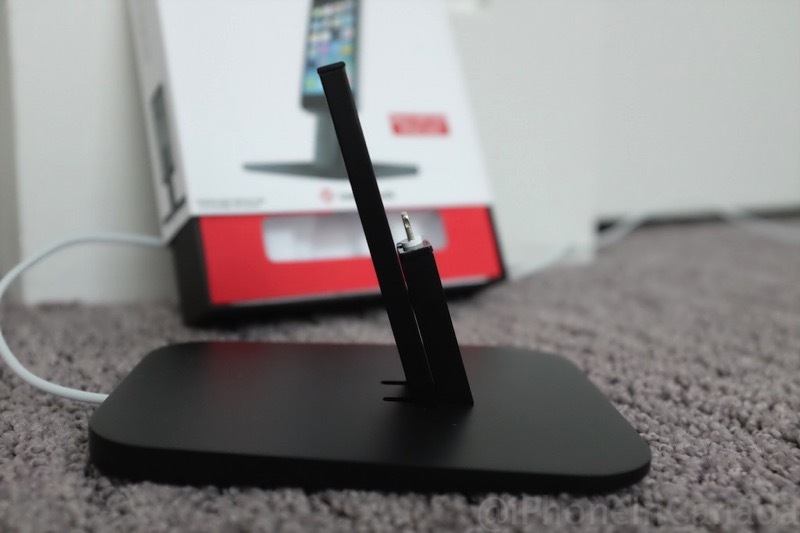 TwelveSouth sent us their HiRise (available in black or white) to check out for our iPhone 6 Plus, and in our quick tests it has become a welcome addition for our new iPhone. 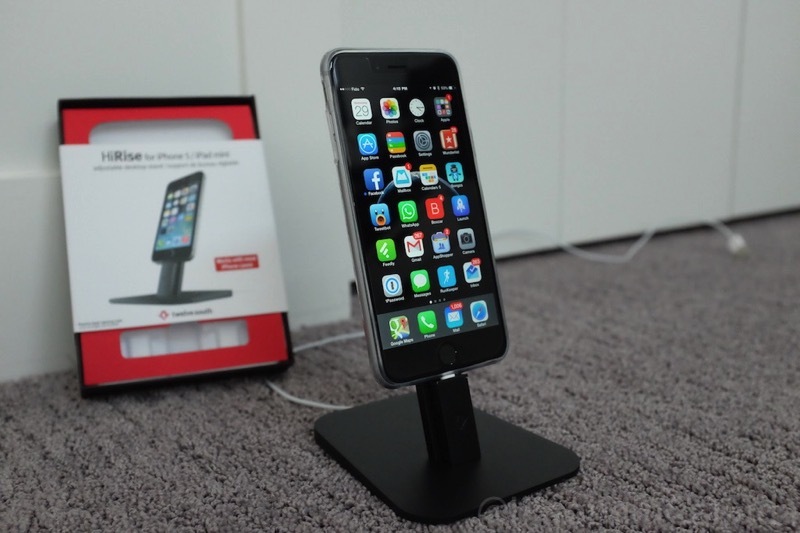 The HiRise is a dock that works for the iPhone 6/6 Plus, iPhone 5/5S and iPad mini. The unique pedestal dock allows it to accommodate a variety of cases, plus doesn’t block speakers, the microphone or headphone jack. It will require a 1 metre Apple Lightning USB cable though as part of its setup. 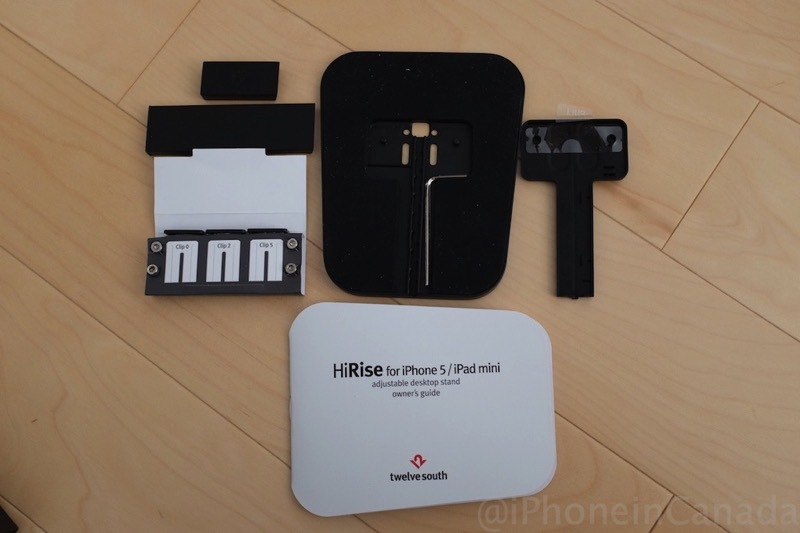 The HiRise takes some assembly before you can start using it. Included are four screws and an Alan key. 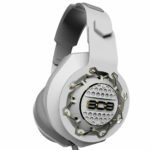 Two screws secure the front support, while two secure the adjustable rear support. The included instructions are clear and very easy to follow. By adjusting the rear support, you can accommodate the varying thickness of devices and cases, while three included support clips adjust the height of your Lightning connector to ensure a flush and seamless mount depending on the case you’re using (or not). While the HiRise passes the “this looks awesome on my desk” test—what about docking and undocking with one hand? I was able to do so successfully with the iPhone 6 Plus without any issues. What about docking or undocking at night or in the morning “blind”? That does take some more work to line up the Lightning port and the connector, but it’s possible. The base does have some good weight to it, allowing it to stay put most of the time compared to Apple’s plastic dock. As for some downsides to the HiRise? For impatient folks, you will need to take some time to assemble it (it’s not that difficult at all) as it won’t work right out of the box. Also, by specifically requiring a 1 metre Apple Lightning cable means your unofficial cables won’t work (even the 2 metre Apple cable won’t work as it’s too thick). But I can see how TwelveSouth’s decision to go with an Apple cable makes sense, as it essentially guarantees compatibility for those three included Lightning clips. 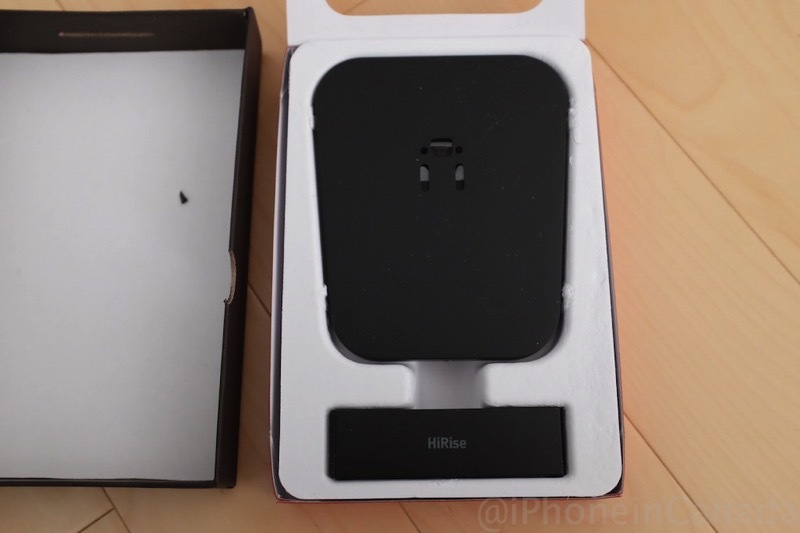 Overall, the HiRise is a worthy dock for the iPhone 6 or iPhone 6 Plus as it looks great and is cleverly ‘future proof’ for iPhones and iPad minis that retain the Lightning port (which should be quite a while) since it’s adjustable. It’s not recommended to use it with the iPad Air, but some people have been able to do it. So this dock is very versatile. 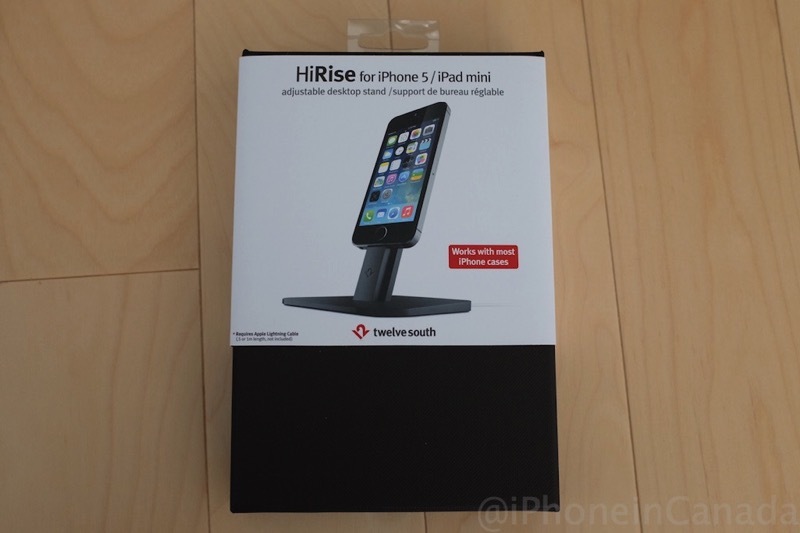 The HiRise is available for $34.95 CAD from any Apple Store in Canada or the online store. If you want to buy directly from TwelveSouth, shipping to Canada is $15 via DHL (or free to a U.S. address). This is basically the one dock to end them all, until a new port/cable standard debuts. Highly recommended.